Ma-ru, the Ghost, will be coming to hear a concert of the Sapporo Symphony Orchestra in Kitara Hall. 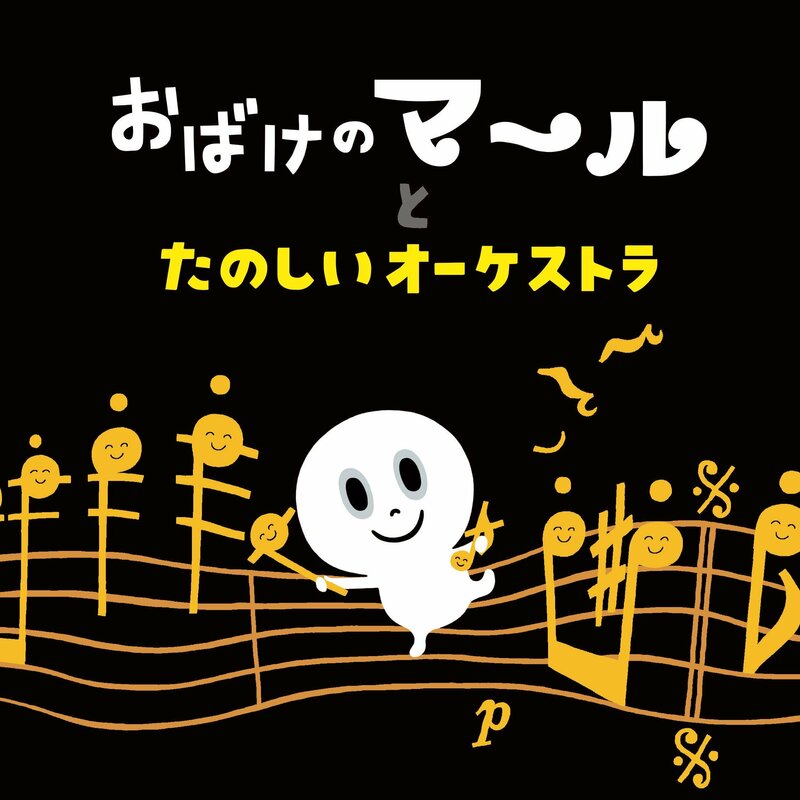 A picture book, "Ma-ru the Ghost and Happy Orchestra" will be on sale starting today, February 27. 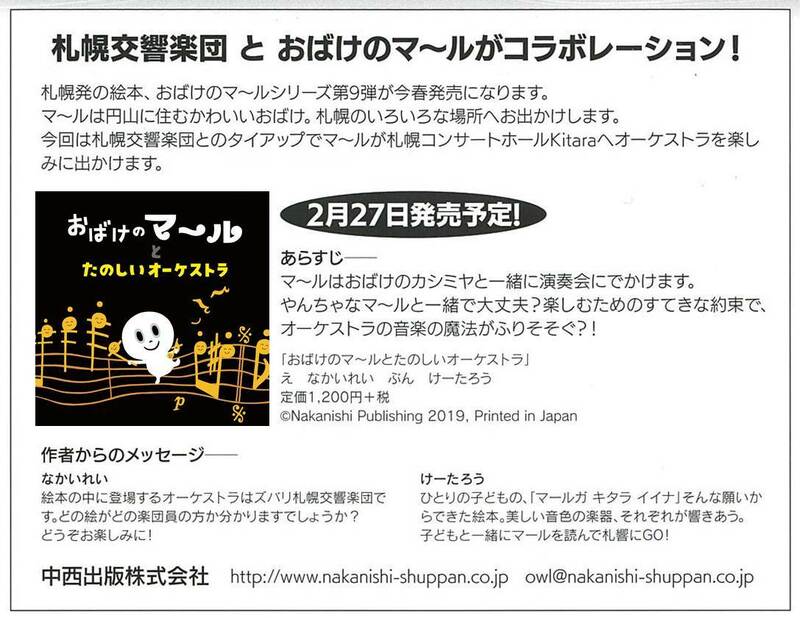 ♪The writer and Sapporo Symphony Orchestra wish those young children to experience joy and happiness in listening music through this picture book. You can find the book in book stores within Hokkaido ,Kitara Shop, AMAZON and Rakuten books.